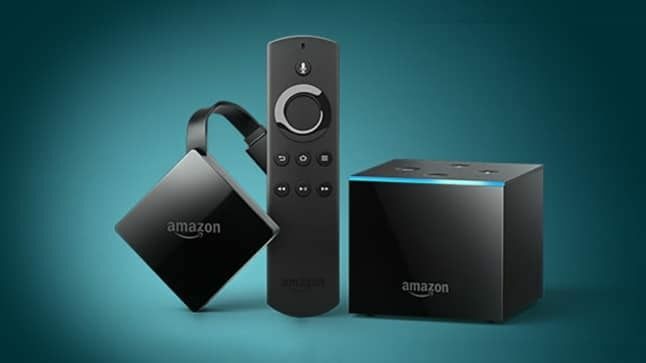 Amazon decided a few years back to get into the streaming media services and what better way than to provide consumers with their own streaming media player “Amazon Fire TV” and entertainment programming “Amazon Prime”. Amazon came up with Fire TV and unveiling it on April 2, 2014, making it available for purchase in the US on the same day for US$99 and launched with a video game called Sev Zero. In December of 2017 the Amazon Fire Basic Edition was made available on Amazon Canada. Over the last three years, they introduced 2 models and 2 generations of the Amazon Fire TV and Amazon Fire TV Stick. Pricing for the Fire Stick is around $40 dollars and the Amazon Fire TV Box is around $90. Lets have a look at their latest model with our 3rd Generation Amazon Fire TV Review and compare Amazon Fire Tv 3rd Generation Specs vs the 2nd Generation Amazon Fire TV. Newly released Amazons 3rd generation Amazon Fire TV is Amazon's latest offering targeting the mid-price range at around $70. This latest model can be confused with being the update to the Amazon Fire TV Box. It has some features that are better but it cannot be considered an updated version. This new modal as with all Amazon Fire TV products are best enjoyed if you have an Amazon Prime membership. Try Amazon Prime 30 day trial to see if you like it. With the newly released Amazon Fire TV Cube, Amazon will be eliminating the Amazon Fire TV Box. The new cube-shaped set-top box is Amazon’s new premium voice controlled streaming media player that features Alexa. It is set to work seamlessly with the new 3rd Generation Amazon Fire TV and the many other Amazon Smart device with Alexa like the Amazon Echo. Let's have a closer look and see what the difference between the two models are and if you should get one. The new Fire TV is significantly smaller than the Fire TV Box about one-third of the size. It’s very portable and can be considered a large dongle. But unlike some dongles, you will need an outside power source connected via a Micro USB charging port located on the bottom of the unit. This kind of makes it a little less portable. There is no Ethernet port. If you need one you will have to buy an adapter See Amazon Pricing. Its a simple clean box with only the one USB port on the bottom. A power LED light would have been a nice touch to know if a unit has power. I guess they felt since it is hidden behind the TV, its a set it and forget it type of unit. The size is a little big for a dongle. It would have been nice to have a clip or something to attached to the back of the tv or an adjacent wire. The remote is the same as the last updated Amazon remote. Sleek and simplistic strangely missing volume, mute, and on and off buttons. If you want to do that you will need a universal remote and an Amazon AdOn to control your TV directly from your Fire TV remote. Or you can use the voice control. The great part of the new Amazon Fire TV is you can now directly hook up to your Amazon Echo or Amazon Echo Dot and speak into that device to control your Fire TV and much more. This is where lies a big difference from the Amazon Fire TV Box. The Fire TV 3rd Generation has only the one Micro USB port and no Ethernet ports. Works with blue tooth remotes. The Fire TV Box has a number of ports. It has an HDMI port, Ethernet port a Micro SD slot for expandable storage and upload programming something that can’t be done on the New Fire TV 3rd Gen. It also has a USB port. This is the main upgrade that has been improved from the old Fire TV and the main reason you may want to purchase the new Fire TV 3rd generation. The old Fire TV Box supported 4K video at 30 frames per second. The newest model has 4k with an improved 60 frames per second and adds support for HDR10 and Dolby Atmos. This is a major upgrade for Amazon Fire TV, this will enable higher video playback quality compared to the older Fire TV 2nd Generation on appropriate 4K HDR TVs. The Dolby Atmos is another sound quality improvement that has been added to the new Fire TV. But there is not really very much content available at the moment that you can take advantage of this feature. The performance on the new Fire TV is nominally better than the 2nd Generation Fire TV. The older model seems to load new programming faster but the new Fire TV seems to get faster as you navigate around and it learns your preferences. You can connect your fire TV to your Amazon Echo device and use the voice-activated smart controls. After trying it I found it a little intermittent sometimes it works really well and other times a little jerky. It works well with the Amazon Apps but when you go to other apps the voice controls do not work. The 3rd Generation Fire TV comes with Alexa just like the old Fire TV and Fire TV Stick. So you can use the voice control on the remote to ask for specific shows and apps. If you have an Amazon Prime account, menus and apps load up really nicely. If you ask Alexa to go to a Kodi app or a non-Amazon app Alexa sometime will not work at all. But keep in mind this feature is still much better than many other voice command devices on the market. The only device that comes close is the Apple TV coming in at more than double the price. Gaming performance will not be as good as the older models as the new Fire TV it has a slower processor but many of the games available today have not been taking advantage the faster GPUs. If you are thinking of buying the Echo and also considering getting Amazon Fire TV check out my Amazon Fire TV Cube Smart Streamer Review. It basically is the Echo Dot and the Amazon Fire TV all in one box. So should you buy the new Amazon Fire TV 3rd Generation? If you are buying it thinking you are upgrading your existing 2nd Generation Fire TV Box you would be mistaken. The performance overall is not better and you have no Micro SD slot and no ethernet port. If you are buying it as your first Amazon Fire TV product and plan to integrate more smart home features in your house and like the idea of Amazon Prime then yes, this unit will complement any Alexa system and also seamlessly integrate with the new Cube model to be released in the coming year. As with all the Amazon products they are geared to selling their own products. The remote and Alexa work really well in the Amazon environment but not so well with other Apps. If you don't like the idea of being locked into the Amazon Prime eco system I would suggest other streaming media player providers. See our Roku and GooBang Doo reviews.